Annette Obrestad is one of the most famous female players in the poker world. Annette Obrestad is one of the most famous female players in the poker world, initially bursting onto the online scene when she was only fifteen years old using the online screen-name ‘Annette_15’ and claiming never to have deposited on her way to earning $2,753,883, starting her bankroll by winning freerolls. The Norwegian teen sensation, born in 1988, even played an entire 180 player online tournament looking at her cards only once, her idea being to show "just how important it is to play position and to pay attention to the players at the table”. Obrestad has also amassed $3,936,871 in live tournament winnings, her biggest win coming in 2007 when she took down the inaugural World Series of Poker Europe Main Event in London, her £1million prize the biggest-ever win by a female in the history of poker – and this while she was still much too young to play live poker in the USA. This victory made her by far the youngest person to ever win a WSOP bracelet. She followed up this success a month later with a near-miss at the EPT stop in Dublin, finishing second for €297,800 (at the time equivalent to $429,181). She currently sits in 8th spot in the EPT all-time female money-winners list with $840,647 (a list topped by Vanessa Selbst, Liv Boeree and Victoria Coren-Mitchell) and 4th in the overall all-time female rankings 4th with $3,936,871 (behind Selbst, Kathy Liebert and Annie Duke). Sitting 2nd in the Norwegian all-time list behind Felix Stephenson (whose earnings are skewed by his $5million+ runner-up payday in the 2014 WSOP Main Event, Obrestad’s career hasn’t only been one of positives, the youngster berated for continuing her ties with Lock Poker. Last year, 2016, she told Gary Trask of the CasinoCityTimes that although poker would “always be part of my life… it's not the only thing to me anymore." Obrestad makes a great laydown vs Brennen Steffen during the WSOP 2010 Main Event. Thanks to changed gambling laws, Norwegians are making their way to online poker and gambling sites in large numbers. 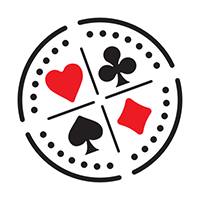 ​It’s the closest thing to a universal card-player’s dream: to stumble across some online poker site and try it out with just a few bucks and a matched deposit bonus code, only to build all the way to the highroller table.